The QA function has unique challenges in every enterprise, be it a small enterprise that is just at the beginning of setting up, a QA team or a multi-billion dollar giant with matured QA processes. The right QA strategy can help you improve the overall product quality and reduce release cycle time enabling faster time-to-market and controlling the rising QA costs. TestingXperts’ Test Advisory Services provide you with the specialist advice to achieve these objectives and help you move to the next maturity level in QA. We deliver custom solutions that address your current business needs and align with your future aspirations. Using the TMMI Based Assessment, TestingXperts will assess your current test organization and map it to the TMMI model. TestingXperts will help clients test organization for TMMI certification by identifying gaps and areas of improvement. Based on that, the roadmap will be defined for prioritized items to be implemented. 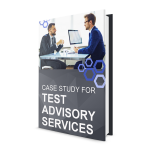 We define the goals for the Test Advisory exercise upfront and then perform a holistic assessment across various dimensions of your QA enterprise, i.e. 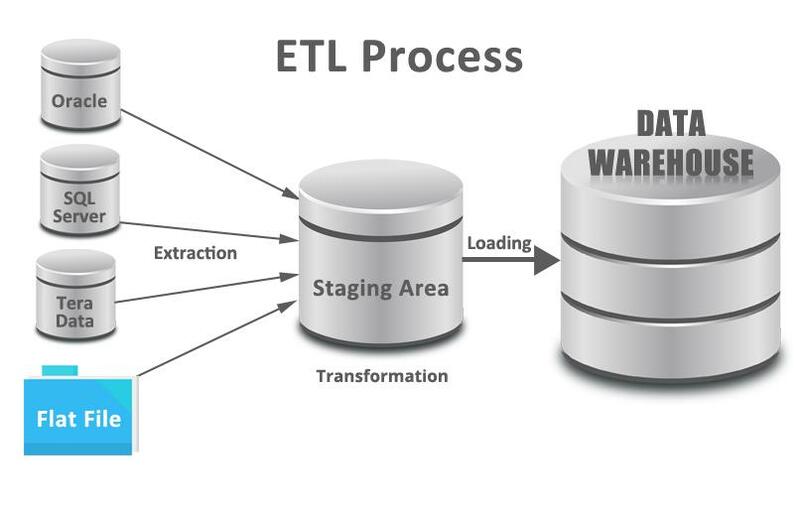 Processes, People and Tools & Technology. We leverage our extensive QA experience and in-house QA accelerators, along with industry best practices and baselines to come up with the best possible solutions. We assess testing processes, enterprises & tools against best practices, identify gaps in their ability to support business growth, identify improvement areas and come up with recommendations for the enterprise-wide testing processes. We help you develop a roadmap of initiatives that will help align QA strategy with the enterprise goals. 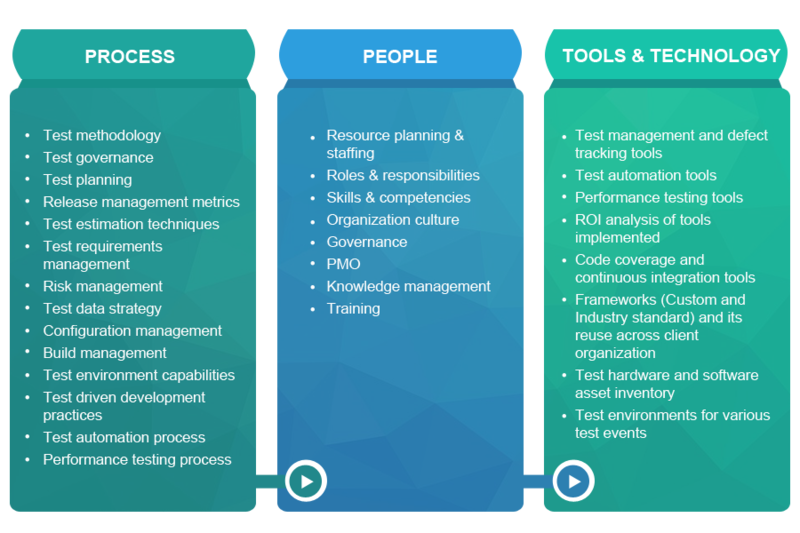 End-to-end assessment including various types of testing, methodology, tools, processes, people, environments, etc.